The West Georgia Choral Arts Festival features, by invitation only, choirs from the West Georgia/East Alabama areas and provides them with a full day of rehearsing and performing great choral music together. Our geographic area is diversely rich in choral offerings, but rarely do the choirs ever perform together. This project brings a full choral contingency of singers ranging in age from eight to eighty together on the same stage under the direction of an outstanding guest choral conductor/clinician. It began, in part, as a celebration of the Choral Society of West Georgia’s tenth anniversary in February, 2016. The result was a stunningly successful project in both size and scope. The festival brought nearly three hundred choral singers together. Each individual choir performing two chosen selections, with a grand finale performed by the Festival Collaborative Concert Choir. All expenses: music, lunch, and concert venue, are underwritten by the Choral Society of West Georgia. The West Georgia Choral Arts Festival 2017 featured two hundred and seventy five singers and was an equally dazzling success. Listen to the 2017 West Georgia Choral Arts Festival recordings HERE. The West Georgia Choral Arts Festival 2018 was co-partnered with the LaGrange College Music Department and was held March 10, 2018 in Callaway Auditorium. Read all about the 2018 Festival and see photos HERE. Read all about the 2019 Festival and view photos HERE. 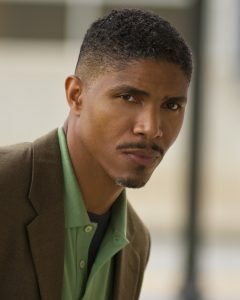 Dr. Oliver N. (Nathan) Greene Jr. is a native of La Grange, Georgia and the son of Annie and Oliver Greene. He is a graduate of LaGrange High School where he was actively involved in both band and choral music. Dr. Greene holds a Bachelor’s degree in Vocal Performance from the College-Conservatory of Music at the University of Cincinnati. He received Master’s degrees in both Sacred music (conducting) and Vocal Performance from Southern Methodist University in Dallas, Texas. Dr. Greene also holds a Ph.D. in Ethnomusicology from Florida State University. He served as the chancel choir director at Hamilton Park and Embry Hills United Methodist Churches in Dallas and as guest conductor at Holy Cross Episcopal Church in Decatur, Georgia. Dr. Greene has performed baritone solos in Handel’s Messiah, Faure’s Requiem, Schubert’s Mass in G, Dubois’ Seven Last Words and was a featured soloist at the Bicentennial Celebration of the African Methodist Episcopal Church at the Kennedy Center in Washington D.C.
Dr. Greene is a member of Amandla, a vocal duo with soprano Lori Christian and has performed concerts in a variety of musical styles in New York, Philadelphia, and Atlanta. He recently both produced and performed in Witness … Amandla Sings Spirituals and Jazz. Currently, Dr. Greene is Associate Professor of Music at Georgia State University where he teaches courses in world music and American popular music. His publications include journal articles, a documentary film as well as a book of the indigenous music and rituals of the Garifuna people of Central America. Each chorus will perform two individual selections and then all 250 voices will join in a collaborative concert under the direction of Dr. Oliver Nathan Greene, Jr., Associate Professor of Music, Georgia State University. 2019 Dr. Oliver (Nathan) Greene, Jr.